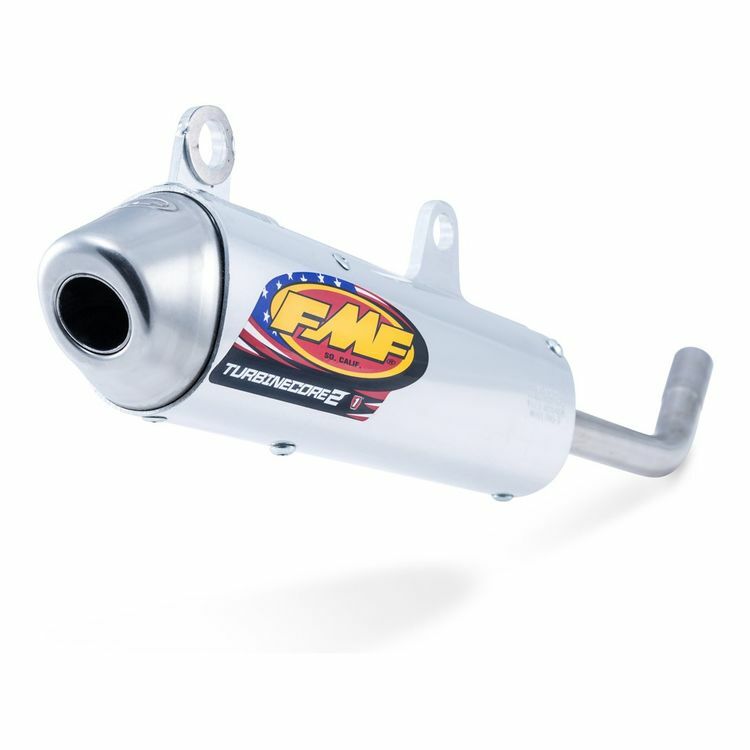 The FMF Turbinecore 2 Silencer is one of FMF's best selling two stroke silencers and features the exclusive "Turbine Dampening System". This top-notch silencer has well earned its USA Forest legal status. The straight through design of the spark arrestor canister and the performance flow stainless steel end cap ensures strength, durability and most importantly, track and trail proven unrestricted power.